Does that sound like you? Want to turn that passion into a career? Come join our team! We are dedicated to covering high school track and field, cross country and road racing throughout the year, though we're also athletes, fans and competitors ourselves. We're eager to bring the coverage fans have been waiting for in this community. 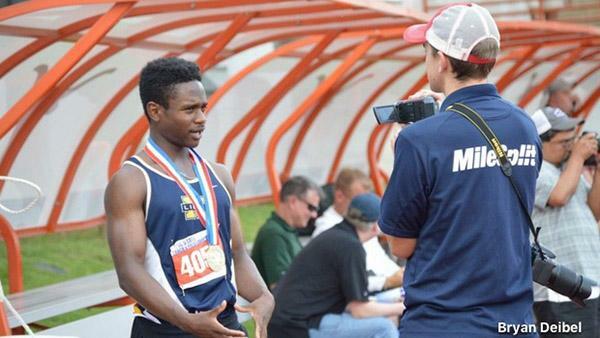 With a nationwide network, our MileSplit National team works from FloSports HQ in Austin, Texas. Full job description and responsibilities found here. •	Fridge stocked with free coffee, soda, beverages, etc. •	You'll never get in trouble for watching a Diamond League at work or some random European meet on a Tuesday. •	Doing what you love. From hiking to stand-up paddle boarding to a leisurely swim in natural spring-fed pools to a running trail a stone's throw from HQ -- there is no shortage of outdoor activities. Plus, with about 300 days of sunshine and an average temperature of 68 degrees, being outdoorsy comes naturally. There's a reason they call Austin, Texas, the "Live Music Capital of the World." You can always find us at awesome concerts and hanging out at world-renowned music festivals like SXSW, ACL, and so much more. Austin is home to of tons of amazing, unique restaurants -- from healthy, locally sourced options to mouth-watering burger and pizza joints -- this city has it all. Our favorite has to be the abundance of tasty food trucks. Some of the best food we've ever had has come from these four-wheel wonders, and we love to explore the city and discover new bites to eat. You run 10 miles a day, you'll be fine.